They say that art imitates life at times, and I will definitely not argue with that since there are more than enough precedents to confirm this observation throughout the passage of time. Having said that, sculptures and still art does have their own sense of worthiness, and if you are a sucker for those, perhaps it is time you decorate the garden of your home with the $19.95 Skyler the Climbing Squirrel Statue. 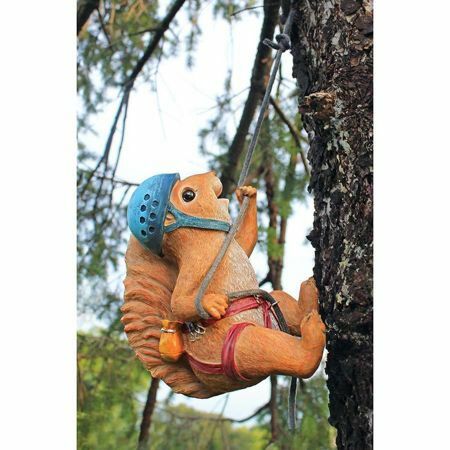 This static, furry brown mountaineering squirrel wears a safety helmet and a chalk bag, and has been specially cast in quality designer resin while hand-painted in true wildlife detail, making him a worthy addition to any lawn that needs some enhancing.